Front row, left to right: Lily Katz, Emily Shahan, Taylor Soper, Sarah Camp. Back row: John Cook and Todd Bishop. “Interning at GeekWire was so different from other journalism experience I’ve had. It was really a whole new world. I was used to working for a paper. The biggest difference was obviously that it is an exclusively online news source; there is no print form. Additionally, I hadn’t had much experience writing about technology, so I learned a lot about what was going on in the tech world. I’ve always been interested in technology, but interning at GeekWire opened my eyes in regards to how much important tech news there is all of the time. “John Cook and Todd Bishop, the founders and editors of GeekWire, are really well respected in Seattle’s tech community. This allowed them to develop a pretty significant following in the area and beyond. 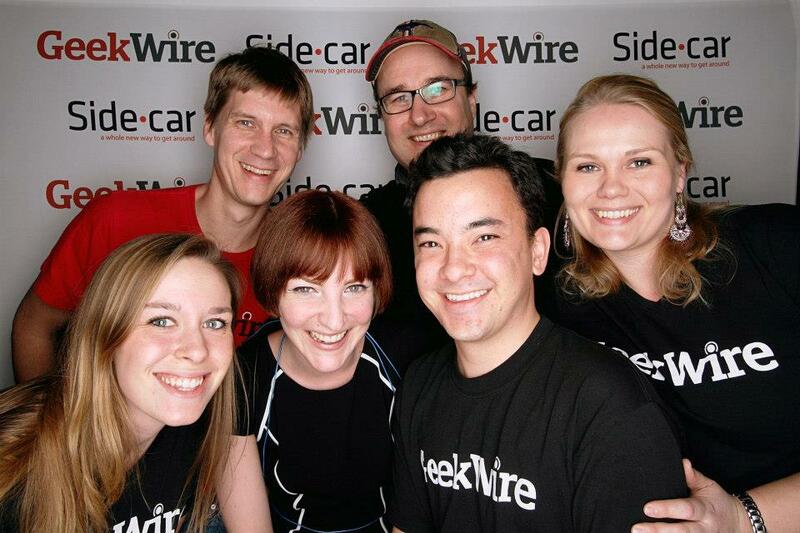 GeekWire is almost like a hub for local tech startups. Because of this, they get really good turnouts at all of their events. What was your favorite accomplishment? *Lily is now an intern at The Seattle Times.